Native advertising is really interesting. See, Google doesn’t like it when you hide ads. If you try to pass off an affiliate link as a natural link, you can earn a bit of a penalty. If you do it too much, you can even end up deindexed. If you persist in doing it for too long across too many high profile businesses, the FTC can even get involved. Advertising generally needs to be disclosed and obvious. That seems to go counter to what native advertising is. Native advertising is advertising that appears to look just like the content of the site you’re browsing. I guarantee you’ve seen it, and you might not even realize it. How might you have seen it? 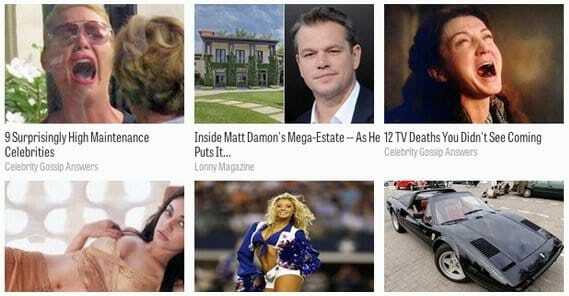 Here are examples of what native advertising can be. Sponsored articles on a blog. Paid reviews that promote a product. Infographics that the creator paid to put on the site hosting it. Related post widgets that link to a content network rather than on-site content. If you read that list and thought to yourself “well, that could be anything then!” you’re right! It can be anything. Native advertising is just a way of saying sponsored content or paid content that looks a lot like the content normally posted on the site. There’s often very little difference between a paid sponsored post on a blog, a guest post on that same blog, and an organic post. 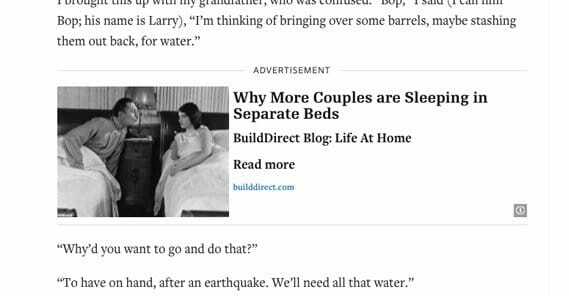 One important distinction between native ads and traditional ads is that native ads don’t use landing pages. Rather, they tend to direct the user to a blog post or article of some sort. The off-site related posts box is a good example of this; you still end up on the article, it’s just not on the same site. Advertisers love native ads. They’re the One Weird Trick to Getting Higher Clickthrough Rates. They have higher engagement specifically because readers don’t think of them as ads. When the only notification of an ad is a line in the author bio at the end of the post, which no one reads, it’s easy to forget that the content might not have genuine opinions in it. The only time native ads come back to bite you is when a user notices they’re ads and feels betrayed. It’s usually a matter of disclosure, at least in the eyes of the law. That’s why the FTC cares; they have disclosure rules for advertising. On a more abstract level, there’s the issue of bias. If a high profile publication like Moz were to accept payment in exchange for writing a glowing review of something like Kissmetrics, you then have to wonder. Any time afterwards, when Moz mentions Kissmetrics, was that a paid mention or was it a mention made out of genuine recommendation? All such mentions are tainted. Now, I’m not saying Moz accepts money for promotional content, and I’m not saying Kissmetrics pays for mentions. I’m just using big names as examples. All of that said, native advertising is certainly here to stay. It’s too beneficial for advertisers to ignore it, and it’s too lucrative for publishers to ignore. Copyblogger ran a survey that indicates 90% of publishers are either using it or plan to, and that’s an outdated survey. At the end of the day, it’s too effective for too many people for anything short of widespread governmental intervention to cut it off. So, let’s take a look at native advertising in action, and see how it can be effective, or not. That’s right; even with all of the advantages native ads have over traditional ads, they aren’t always very effective. I can’t link you directly to this one because it was so bad they took it down. It’s a good example of why native advertising still needs to have care put into it. 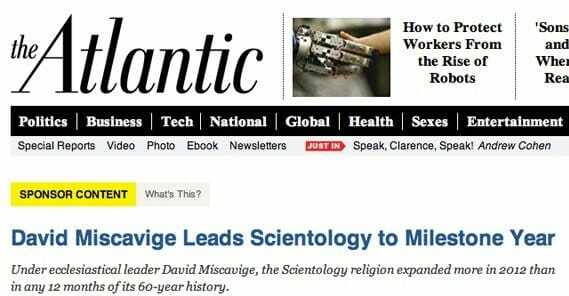 The Atlantic published an article praising scientology, which has largely been considered a scam around the world. The article was promoting something the audience for it wasn’t in favor of, and that caused dissonance. The fact that it was sponsored just made it worse. The lesson here is that no matter how good the money may be, native advertising shouldn’t be on your site if it isn’t something you would promote on your own. Think of the payment as an added bonus, not as the sole reason to publish. The article I just linked is pretty basic. 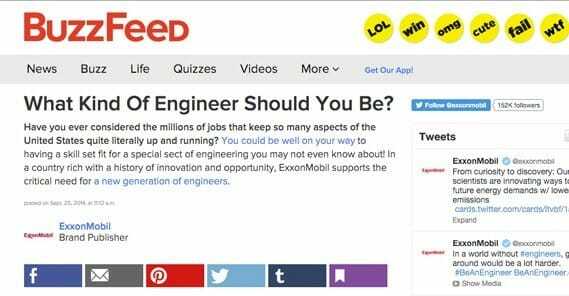 It’s a quiz that helps you decide what sub-field of engineering is most interesting to you. So how is this native advertising? Take a look at the author; that’s right, Exxon Mobil. The post itself isn’t promoting Exxon, but look around the page. You see Exxon’s logo and name as the author of the post. You see their Twitter integration in the form of a button and an embedded feed. You see a link to the Be An Engineer program, sponsored by Exxon. You see a list of top posts published by the author, which is Exxon. Then you scroll down and check out the comments. No one is complaining that it’s a sponsored post promoting Exxon, even though there’s a lot of anti-oil company sentiment in the world these days. That’s how successful native advertising can be. This post on Forbes is very much like the Buzzfeed example, only there’s not quite so much tertiary branding going on. 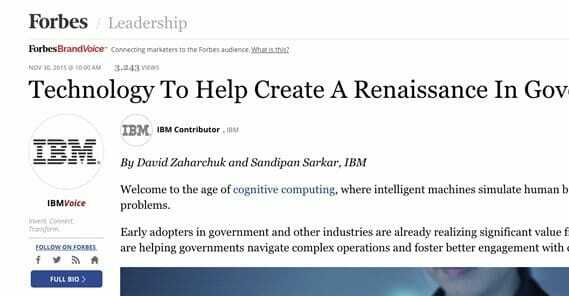 The one I linked is to IBM, but Forbes has relationships with a bunch of brands, including EY, SAP, Northwestern Mutual, Oracle, and Fidelity. Take a look at that native post and see if you can spot the value IBM gets out of it. By my count, you have the username of IBMVoice, you have a byline, you have Twitter and website links, four in-content links to IBM pages, a recommended posts box, and of course all of the branding. Plus, it’s an interesting article with a lot of detail. 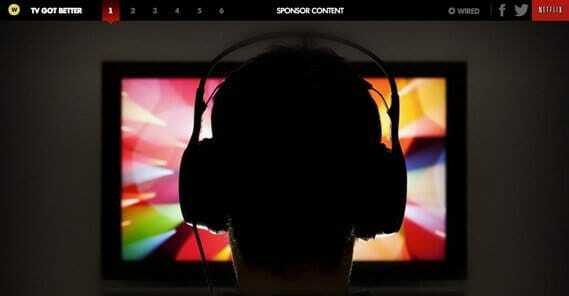 Valuable content, not thin content, is the way to go with native advertising. Every time I mention one of those “related posts” widgets that links to off-site content as native advertising, I’m talking about one of two things; Outbrain or Taboola. Between those two, they have that niche very well covered. You can see it on all sorts of publishers, from small blogs to Rolling Stone and CNN. Usually, their links are made to look like related post boxes for the site itself, and in fact they’re usually accompanied by those boxes. You end up with a mixture of related content, some on site, some off. 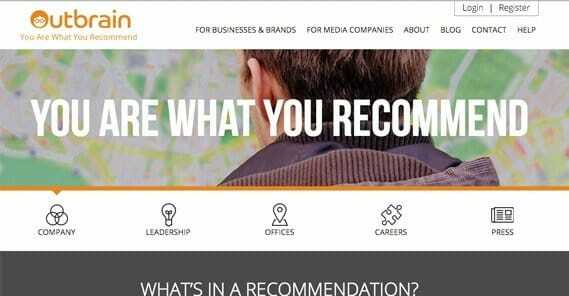 The primary way Outbrain succeeds is via serious overview of the content posted in their network. They only allow high quality content, and they have very refined categorization to make sure the content that is displayed on a site is highly relevant to that site. It helps eliminate the issues from the first example in this post. 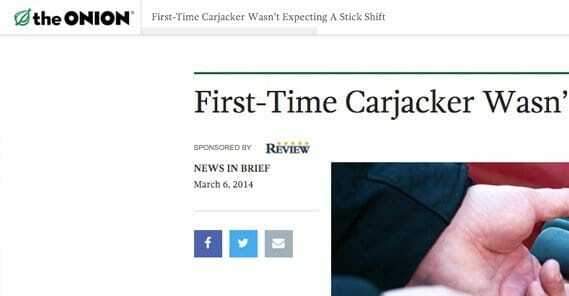 The Onion takes a unique perspective on native content. They’re a site that lives or dies by the humor in their content, so they absolutely cannot allow brands to come in, write something that is painfully unfunny, and pass it off as legitimate content. So, instead of the Outbrain-style related links or guest-written posts, they write the posts themselves. They just allow the sponsor to set the general topic. The linked example is sponsored by Comedy Central and is more of a general humor article, but past examples include humor about taxes during tax season sponsored by H&R Block, and other similar related brands and posts. The Onion also includes product placement for items in their videos, when those items were donated or paid for by the brand. Cracked does the same thing the Onion does, with the content they create that happens to be paid for by the brand in question. 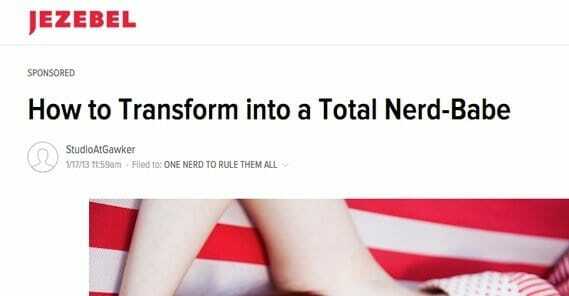 They also do the Outbrain-style related posts. You can see them in the sidebar under “Linkstorm” and at the bottom of the page under “From Around the Web.” That latter one? Taboola. I told you one of those two is going to be everywhere. Cracked thrives on people entering the site and spending hours there, clicking from post to post via those related article boxes. It’s no wonder that they work so well for native advertising. Heck, I clicked three of them just writing this section, and I know better. Motor Trend is an automotive review and industry news publication, so it can’t afford to have blatantly obvious sponsored content muddying the waters. That whole thing about bias from the intro? It’s in full play here. If Motor Trend were to publish a sponsored review of VW talking about how great their emissions are, you’d have the right idea being skeptical about everything they say. As such, the native ads they use are limited to the sidebar related posts widget, and it doesn’t always appear; sometimes they load normal banners instead. The default Yahoo homepage could not possibly be more different than Google’s, and that simplicity on Google is probably why is the giant it is today and why Yahoo relies heavily on other forms of business with search as a tertiary subject. Here’s a question for you. Scroll down Yahoo’s page a little bit and you’ll see page after page of articles, all on different sites. Business Insider, MarketWatch, Collider, Ride Apart, SB Nation, MMA Weekly, Washington Post – the list goes on and on. How many of those are sponsored, versus how many of them are just Yahoo’s news aggregator at work? Who knows! Yahoo barely publishes content of its own, and when it does, you have to dig looking for it. The Awl is a general interest and occasionally NSFW web magazine that publishes all kinds of stuff. They have their own set of ads from around the web, down there along with their related content posts. You’re probably getting the hang of spotting these by now, but I’m sure this won’t be the last example on the list. Now for something a little different. I’ve mentioned how great content is the key to good native advertising, but Wired and Netflix are both companies known for taking things to the extreme. In this case, Netflix sponsored a huge, interactive analysis of TV and culture. It has tons of data, a lot of interesting opinions, and fancy effects all throughout. This is much more like standard sponsored journalism, because that’s what it is. Wells Fargo had something interesting they wanted talked about, the B.E.A.T. NYC program, and Slate was willing to investigate it for their piece. 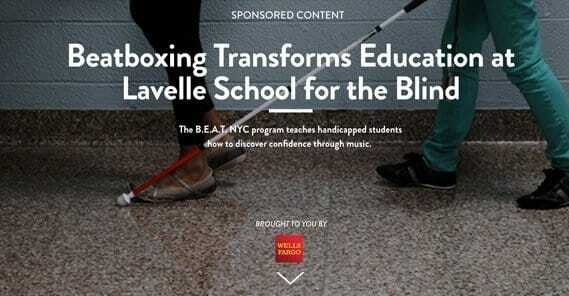 The really interesting thing about this post is that, since it’s written about blind people, it includes audio clips to make it accessible to those people. That kind of above-the-call-of-duty value is what native advertising can bring to the table. Catching a pattern here? Netflix really has a good grasp of modern issues and current events. This sponsored post is a lot more traditional in terms of formatting, but it’s a topic that Netflix wanted covered, so they paid to have it covered. What does Netflix get out of it? It’s a post about women in the prison system, and it happens to include quotes from discussions relating to the Netflix series Orange is the New Black. If you read this post without context, it’s stream of consciousness nonsense. If you know about native advertising – and about the weird stream of consciousness Anna Kenrick ad Newcastle made for the Superbowl – you start to get a grasp of why they’re going out of their way to be weird. It gets you to remember their name, if nothing else. Copyblogger has this one covered, but the ads themselves are sponsored posts published in print magazines rather than on the web. The guide to oysters, the guide to cheese, and whatever else they choose to publish, they aren’t published in a Guinness publication; they’re in other magazines, and just have the Guinness name attached. This is actually a ten year old event, but it’s an interesting one nonetheless. The issue of the New Yorker in question had every ad slot bought up by Target, which pushed their color combo and logo everywhere. No agenda beyond brand awareness, no real promoted content, but after that kind of stunt, who knows what insidious mentions snuck their way in? 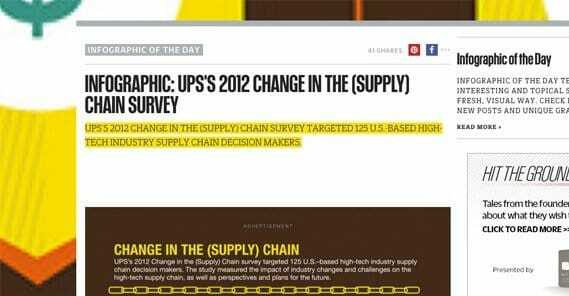 This is probably the simplest example of native advertising; an infographic branded by UPS, posted on Fast Company, with money going to Fast Company for the publication and promotion. UPS gets a reputation for knowing their industry – as well they should – and Fast Company gets the check. The interesting thing here is that, other than a tiny little disclosure at the top, this is pretty well identical to what Fast Company usually publishes. There’s nothing about the post itself that stands out as sponsored. It almost makes you wonder why these companies pay for the exposure when they could just produce the content themselves and let it be shared organically. Almost. Then you remember that consistency is important to big brands and they don’t want to gamble on organic virality. This is kind of a collaboration between many entities, but Hennessy is the main one being advertised here, and they’re the ones paying for the sponsored position in Vanity Fair. Even so, the content is quite interesting on its own, even if I’m not about to go out and buy some Hennessy after reading it. I only do that for bad ads that drive me to drink. This is some native advertising gone wrong. It’s insulting to gamer culture, one that already struggles with feminist issues, body image, and acceptance. It’s clearly sponsored by TBS to promote their show, an equally crass sellout of a nerd competition that’s laughable for all the wrong reasons. 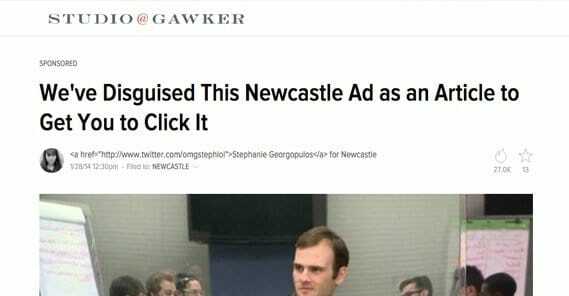 After taking heat for this awful example of advertising, Gawker even changed their disclosure policies. This paid post has so many flags of disclosure that it’s hard to even take seriously. The meta title has Paid Post in it, it has a blue highlight to disclose it, it has logos all over the place, and the writing simply oozes disgusting out of touch corporate opinions. Someone in a board room paid someone who didn’t care to write this, and it shows. It’s a flaw in content quality more than anything. Let’s end on one last good example. This is a lot like that Wired and Netflix example above, a huge, informative, interesting post that includes a lot of detail and interesting factoids. The fact that Mastercard sponsored it is only relevant because the topic has something to do with the modern technology of modern payment systems, and the potential payment systems of the future. What is The Highest Converting Call to Action Text?